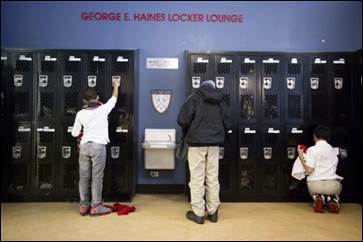 PHILADELPHIA (AP) - Sakora Miller remembers being puzzled when a group of strangers visited her gym class in tough west Philadelphia and offered to teach them a sport. "They were like, (it's) squash," she said. "And I was like, I'm not learning that. It's not for me." But a funny thing happened on the way to the squash court: Miller turned out to be pretty good at it. 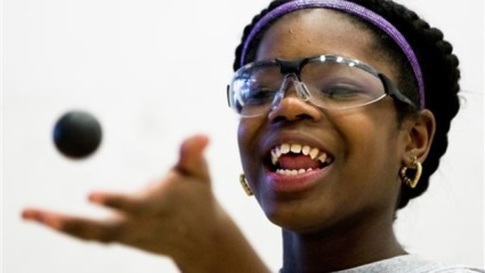 Now, she's just become the first alum hired full-time at SquashSmarts, the after-school program she joined as a seventh-grader in 2004. Interest is growing: Supporters hope to start four more programs this year. 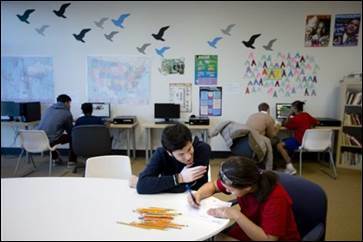 The existing clubs collectively serve about 1,400 urban students – a small segment of the school population, but one that's exposed to intensive mentoring, travel opportunities and community service. 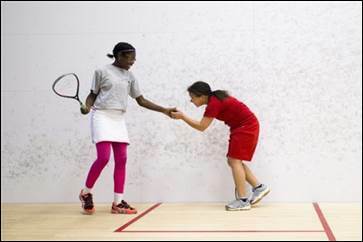 "The philosophy is inch-wide, mile-deep," said Tim Wyant, executive director of the New York-based National Urban Squash and Education Association. Internationally, it's seen as an accessible game played by millions of people in about 185 countries. But the sport evolved differently here, engaging mostly affluent enthusiasts in private athletic clubs and schools. 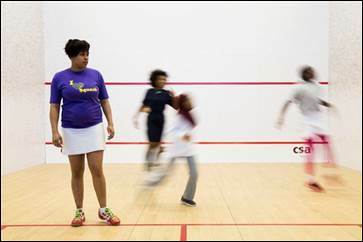 Today, many squash lovers "enjoy seeing the demographics of the game change," Wyant said. 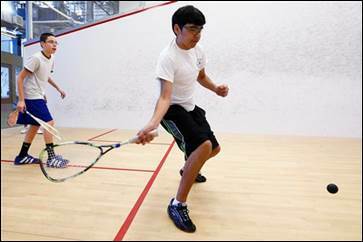 Program growth was aided by a serendipitous move to adopt global squash standards in the U.S., which meant building larger courts. That left a lot of unused smaller courts at many universities, said Kevin Klipstein, president of U.S. 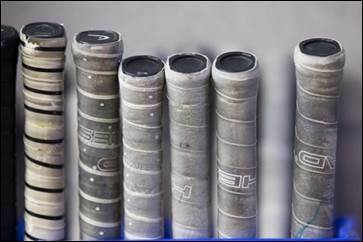 Squash, the game's governing body. "Had that conversion not occurred, it may have been harder to get access to these facilities," Klipstein said. 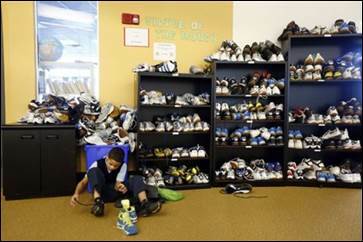 SquashSmarts in Philadelphia serves about 120 students in fifth through 12th grade, furnishing all necessary uniforms, equipment, snacks and academic space. 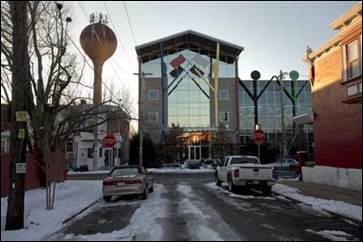 Private donors and foundations provide nearly all of the club's annual $570,000 budget, executive director Stephen Gregg said. 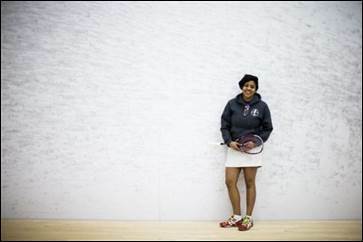 SquashSmarts recruits its players from public schools. Participation is encouraged because the cash-strapped district can't afford to offer such nontraditional sports, said Robert Coleman, the executive director of athletics. Joshua Smith, 13, was one of the skeptics when recruiters visited his middle school last year. 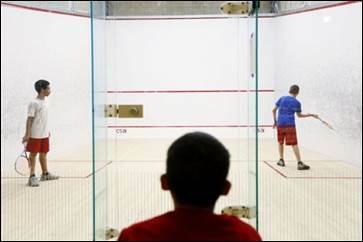 His first thought: "What is squash? That's stupid." "And then I tried it," the eighth-grader said, "and I love it now." SquashSmarts tracks participants' cardiovascular fitness, grade-point averages and college placements. In a district with a high dropout rate, all those who stayed in the club for seven years have graduated on time and been accepted to college, Gregg said. 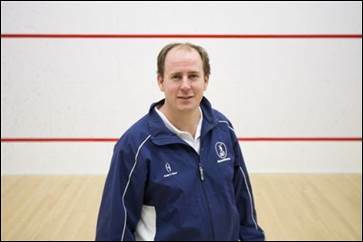 Being able to hire Miller as squash director brings the program full circle, he said. She's now 23 and finishing an online degree from Penn State. 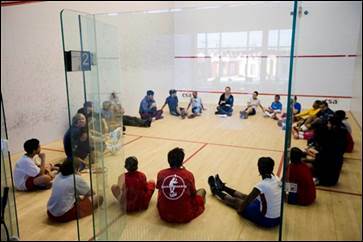 "When the students of SquashSmarts grow up to become the academic directors, the squash directors, the executive directors of this program," said Gregg, "that, to me, is change in a community."